Just as language allows us to communicate, changes in language reveal changing cultures and attitudes in society. Two aspects of language usage around Paralympic sport help explore this. One is the term ‘Paralympics’ itself; the second is the terms used to describe athletes. The first aspect of language usage around Paralympic sport is the term ‘Paralympics’ itself, along with other descriptions of sporting events for athletes with disability since the inception of the Games. 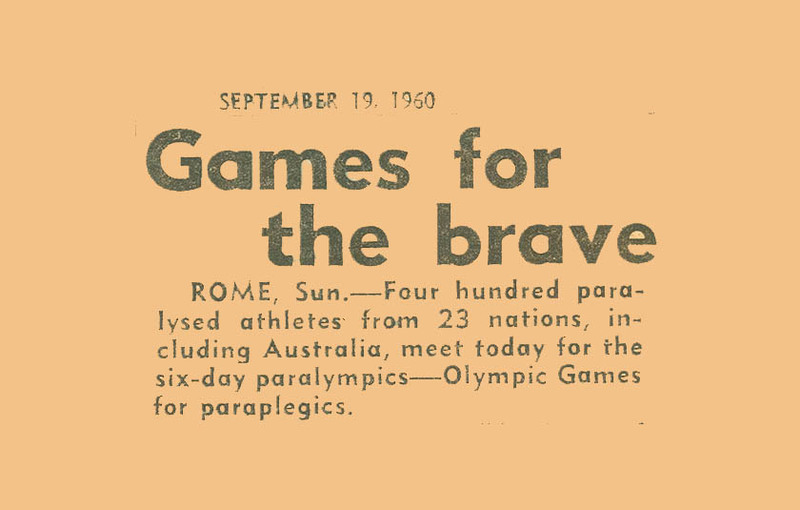 The term ‘Paralympics’, which means parallel to the Olympics, came into official use as the Games’ title for the first time at the 1988 Summer Games in Seoul. Prior to that, a number of titles were used, reflecting the history of the movement and contemporary terms for people with disability. The 1948 Stoke Mandeville Games were called the 1948 International Wheelchair Games, which reflected the fact that the initial sporting events were for those people in wheelchairs only. The first official Summer Paralympics, held in Rome in 1960, were at the time called the 9th Annual International Stoke Mandeville Games. The 1972 Summer Games, then the 21st Annual International Stoke Mandeville Games, translated into English as the World Games for the Paralysed, whereas the 1976 Summer Games in Toronto were called the Torontolympiad, or 1976 Olympiad for the Physically Disabled. Similarly, the 1980 Summer Games were titled Olympics for the Disabled. The 1976 Winter Games, held in Örnsköldsvik, Sweden, were called the 1st Winter Olympic Games for the Disabled. The second aspect of language usage around Paralympic sport concerns the words used to describe athletes themselves. Paralympic sporting success has clearly put pay to notions of ‘disabled’, with its implication of ‘not-abled’. Along the way, media use of “patronising but ‘pitying’ language” has waned. As athletes have impressed the world with their sporting achievements at successive Games, new words with new meanings have become popularised. Words like ‘inspirational’, ‘heroic’ and ‘brave’ are frequently bandied about to describe athletes and their performance. But these terms are problematic too, and the term ‘supercrip’ was coined to highlight the negative consequences of a situation whereby some people with disabilities are seen as ‘heroes’ and are admired in superlative terms for their ‘courage’ and determination.